There are a lot of big dreams for little Willow! 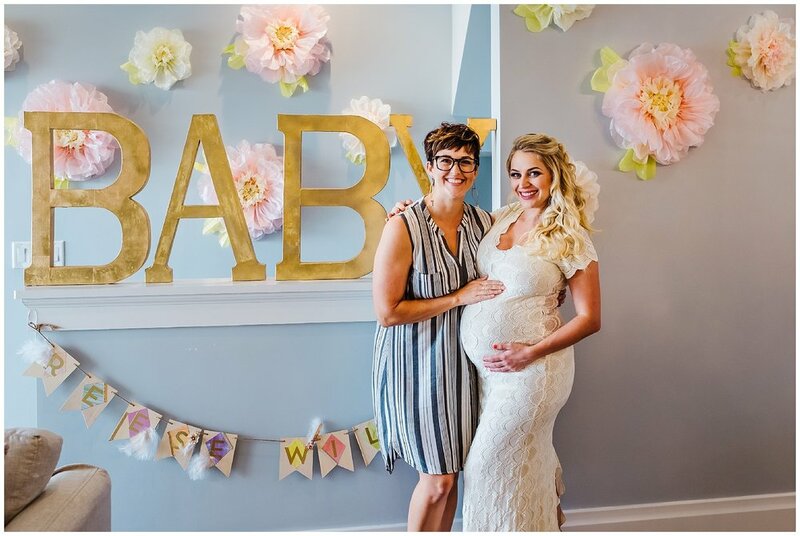 We celebrated at the absolute cutest baby shower. 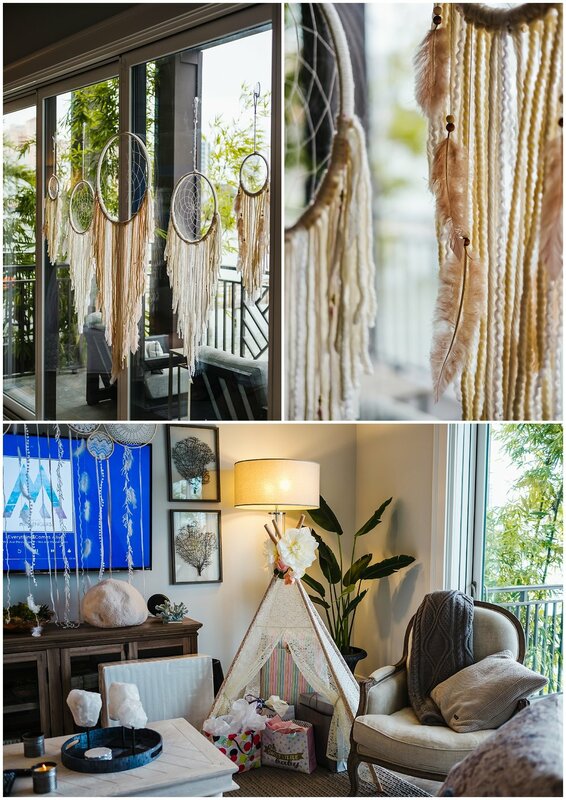 They hung these awesome dream catchers around the room, and they set up a little lace tepee where the presents were placed. The pink and cream tissue paper flowers along with the beautiful flower arrangements completed the delicate, sweet theme. The time capsule was such a great idea, everyone was able to write down some thoughts for Willow Reese to enjoy when she grows up. I loved that Rich (Daddy-To-Be) joined us, and we got some great shots of him with the Mommy-To-Be in her stunning lace maternity dress. I swear she gets prettier EVERY DAY! I know that, like them, we all cannot wait to meet their beautiful baby girl.